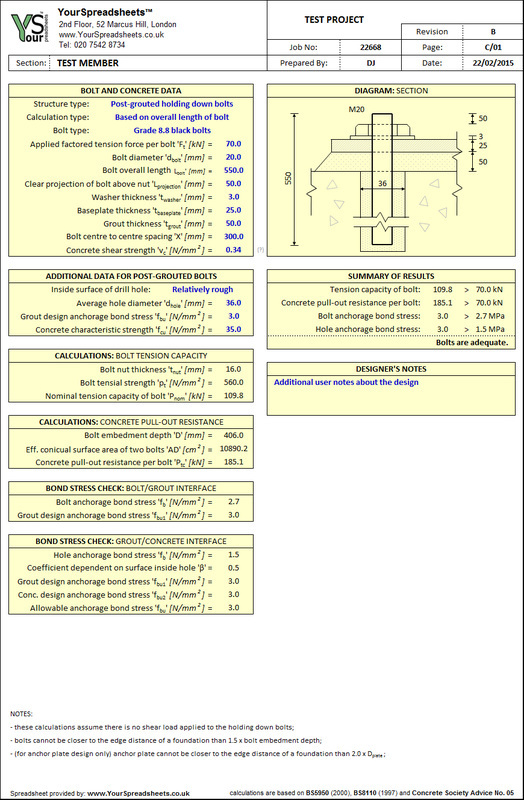 Spreadsheet for designing holding down bolts to BS 5950, BS 8110 and Concrete Society Advice Note No 5. Covers all main holding down bolt types: cast-in, post-installed (or post-grouted) and with anchor plate (typically used with positioning cones). With diagrams that clearly represent the design case. 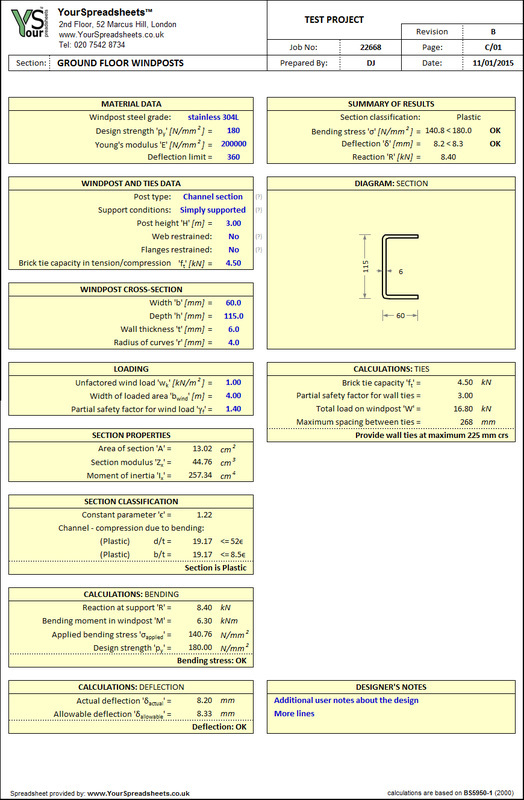 ﻿﻿Spreadsheet for checking existing steel structures. It has a library of BSB and RSC steel sections (imperial sections) which were used in UK and overseas since 1932. Calculations are based on BS 5950 which is a common approach unless you are familiar with CP113 1948. 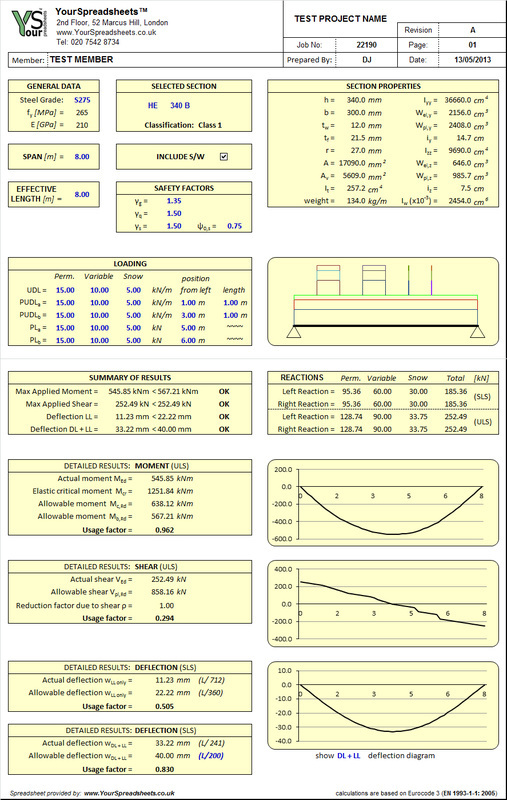 Spreadsheet to analyse and design simply supported W, S, M, C, MC American Steel Sections. 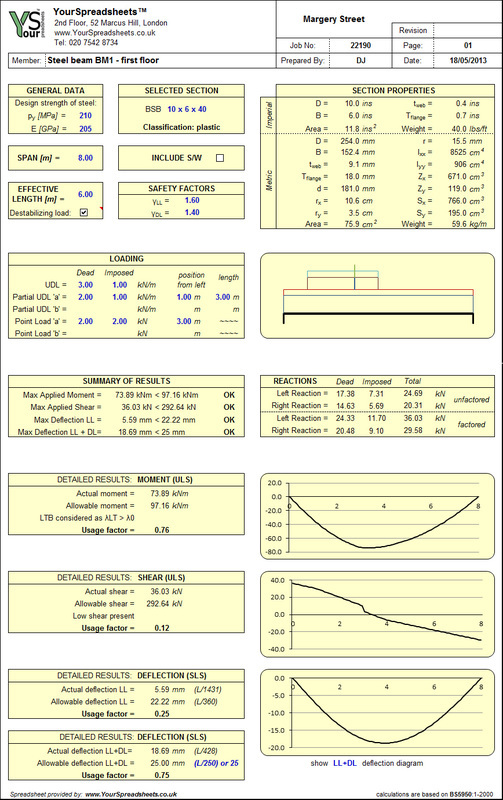 Calculations are based on LRFD method. It includes lateral torsional buckling check therefore is a comprehensive and an essential tool for American structural engineers. 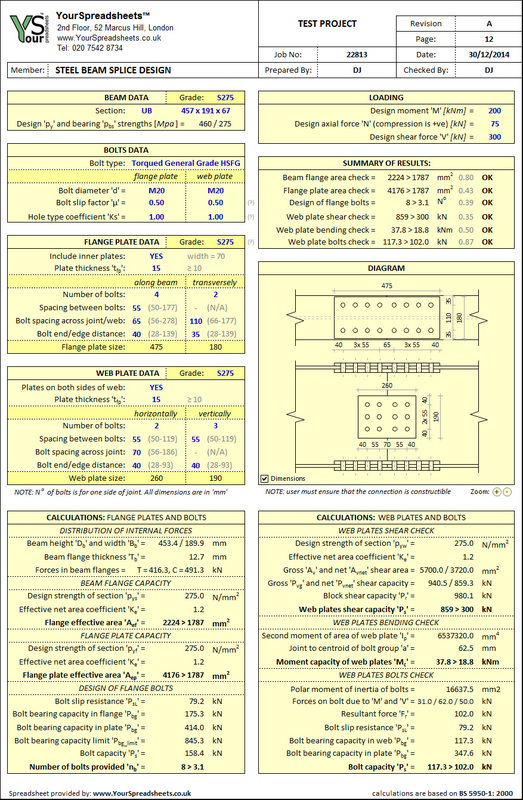 Spreadsheet to analyse and design simply supported Universal Columns (UC), Universal Beams (UB) or Parallel Flange Channels (PFC). It includes lateral torsional buckling check therefore is a comprehensive and an essential tool for structural engineers. 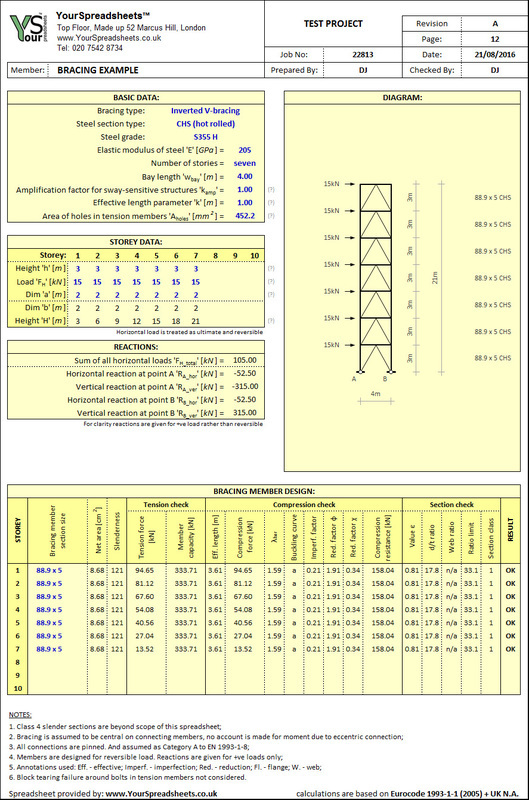 Spreadsheet to analyse and design simply supported British and European steel sections like UB, UC, PFC, IPE, IPN, HE, HL etc. It includes lateral torsional buckling check therefore is a comprehensive and an essential tool for structural engineers. 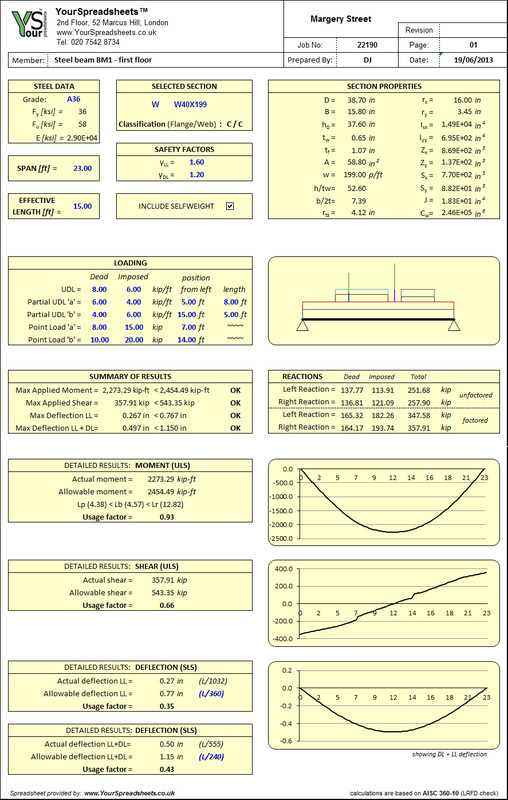 Very useful spreadsheet for designing beam splice connections subject to axial load, shear and moment. Available sections include Universal Columns (UC) and Universal Beams (UB). 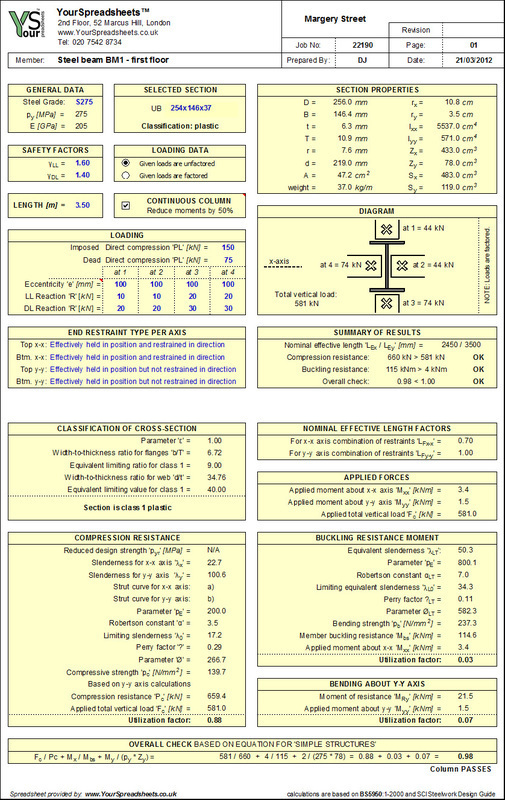 Spreadsheet for designing flush and extended beam to beam endplate connections subject moment, shear and/or axial load. Available sections include Universal Columns (UC) and Universal Beams (UB). 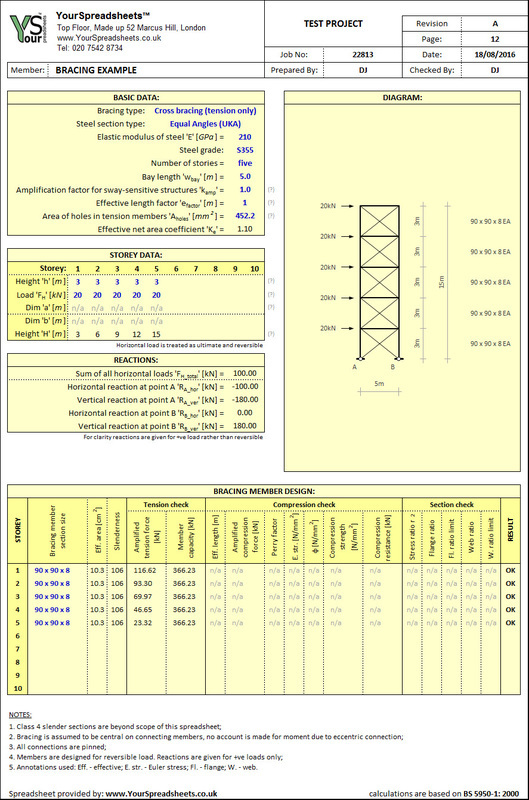 Versatile spreadsheet for designing all main types of bracing used in steel structures. For up to ten storey high structures with tension only or compression and tension members. Available sections include flat bars, angles, hollow sections (RHS, SHS, CHS) hot rolled and cold formed. 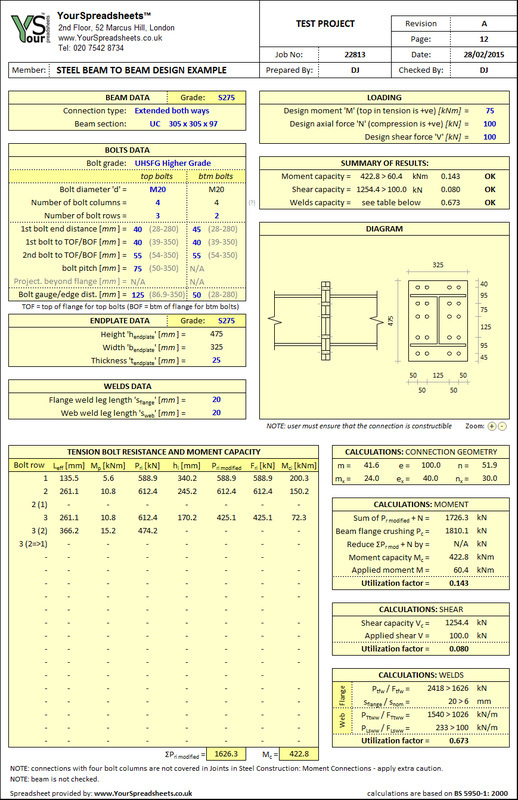 Very useful and simplistic spreadsheet to design steel columns in what is known as 'simple structures' - so typical braced multi-storey steel frames. Available sections include Universal Columns (UC) and Universal Beams (UB). 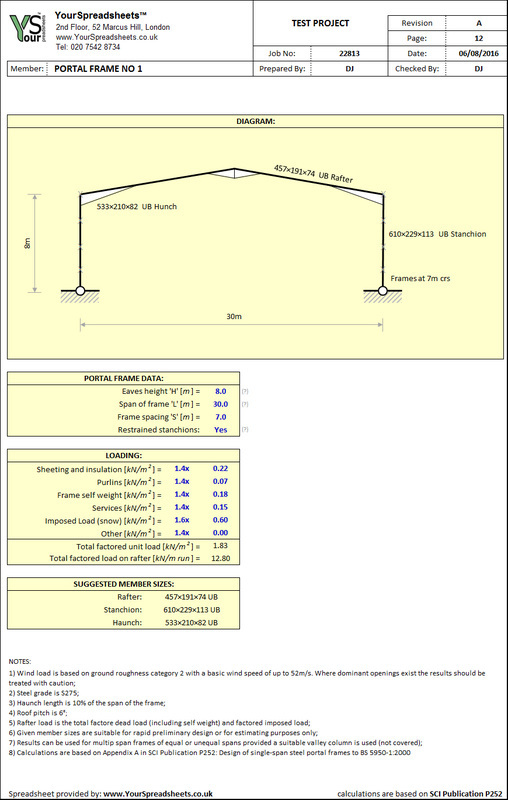 Spreadsheet allows quick preliminary sizing of rafters, stanchions and haunches in steel portal frames. Can be used for estimating purposes. Based on Appendix A in SCI Publication P252. 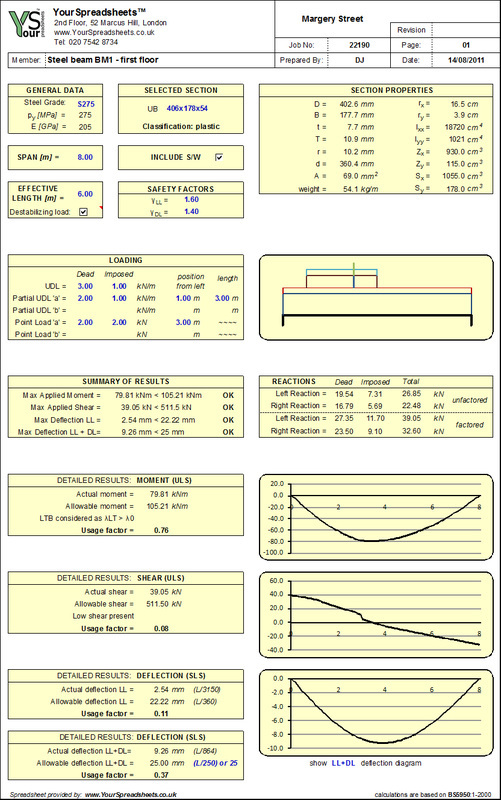 Spreadsheet for designing windposts in masonry walls: single leaf and cavity walls. Windpost can be an Angle or Channel section. The spreadsheet covers simply supported and cantilevering windposts. Includes brick ties design.